If your objective is to target a local audience at cost effective rates, then a billboard in Gujarat bus stands is a truly worthy way for you. There is a certain percentage of audience visits a bus stand every day and hence a wisely placed billboard in a bus stand still has a potency to reach that audience with an ease. We are known as the outdoor advertising company in Ahmedabad, not only provides billboards in Gujarat bus stands, but also promote in selecting the right bus stand where one can find the relevant audience and get the highest returns on the investment. The bus stand locations we pursue are widespread in Gujarat and hence each has the flexibility to select the best one for your requirement. 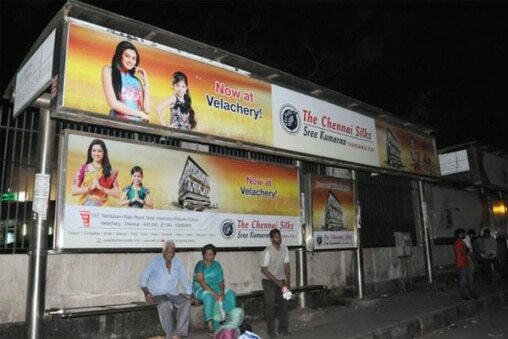 There is no annoyance of the location permits, billboard installation, printings, or maintenance as we proffer you everything at one stop on availing our billboards in bus stand service. The wide range in billboard (none lit, front lit, back lit), robustness with bright colors and high-class printings is what we guarantee and for what we are acclaimed all across the Gujarat, interested one can get more details in regard through contacting us today.